When you start developing a WordPress site – no matter if for a client or a private project – chances are you want to see how your site may look in a real environment but without letting regular users see your unfinished work. This is where ‘Coming Soon’ pages come into play. So here are 14 WordPress coming soon and maintenance mode plugins to play a very vital role in giving you a lot of space and time to play around your theme without your visitors noticing the events. 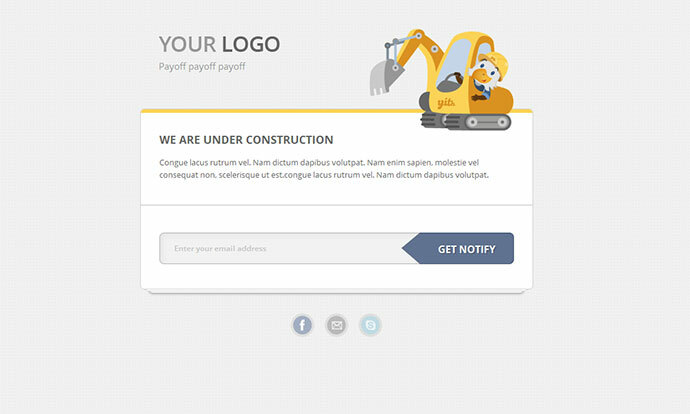 During this period, your visitors will only see a brilliant banner rather than your blog, informing them that the blog is under-construction or in a maintenance mode. 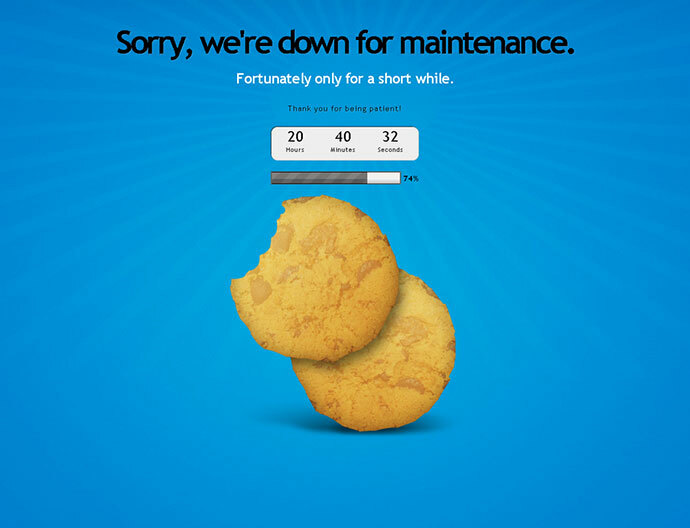 Adds a maintenance-page to your blog that lets visitors know your blog is down for maintenance time. User with rights for theme-options get full access to the blog including the front-end. Activate the plugin and your blog is in maintenance-mode, works and see the front-end, only registered users with enough rights. 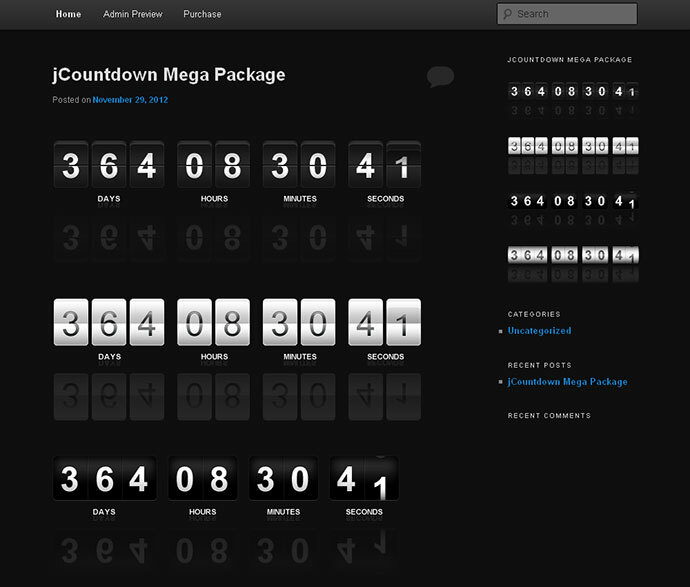 You can use a date with a countdown for information the visitors or set a value and unit. Also you can add urls for exclude of maintenance mode. YITH Maintenance Mode gives you the ability to have a simple Maintenance Mode page while your website is under construction or closed for maintenance. 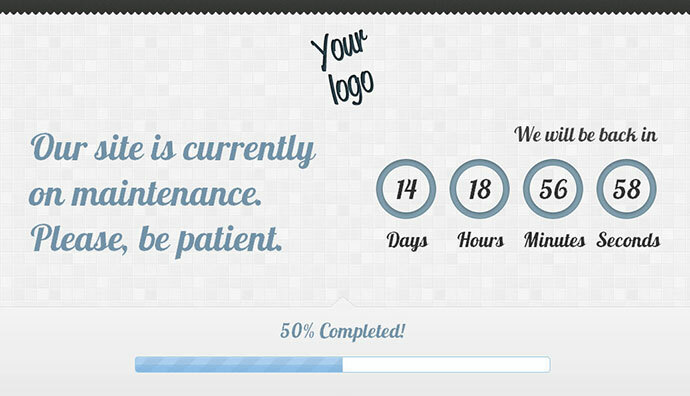 The DP Maintenance plugin includes the possibility to add a maintenance mode with a sleek theme to your website. Radar was designed to be a landing page, but it’s flexible enough to serve a few purposes. It could be used as a temporary mini-site, a promotional landing page to collect emails, a quick maintenance mode splash page, or even a countdown to your site launch. 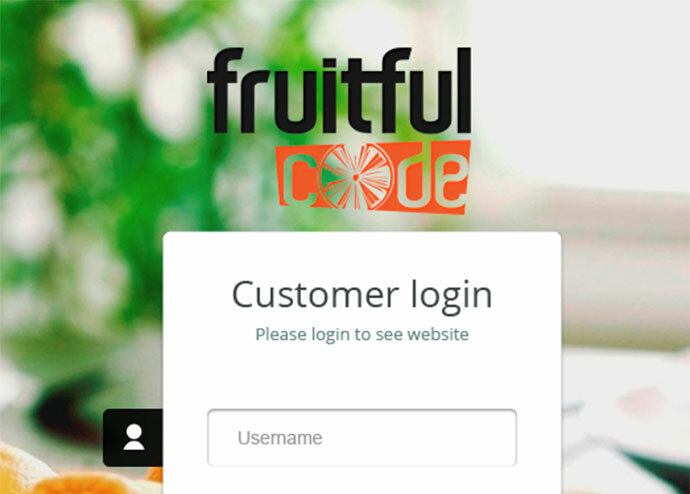 Take your site down from public view with a click of a button hiding the site when you need to change a few things or run an upgrade, making it only accessible by login and password. 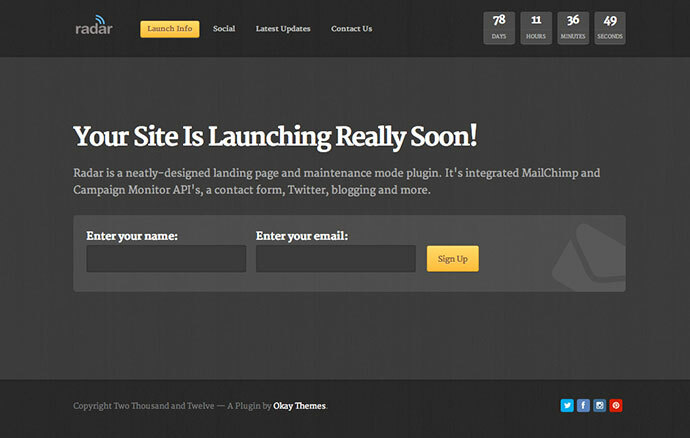 There is also an area to add a custom message which will be shown to the users while your site is down. Users stay on the same page when they input wrong initials. 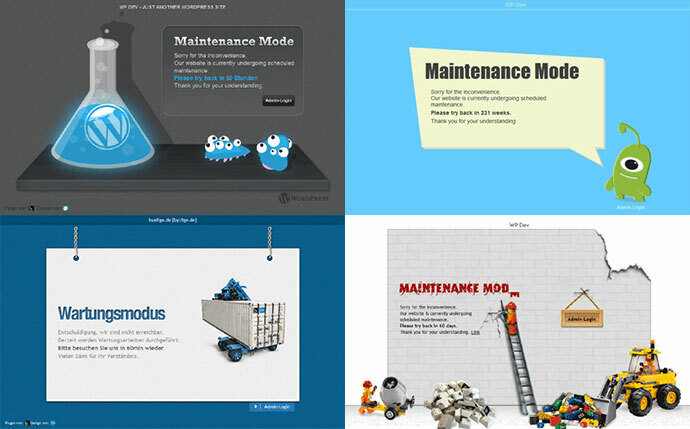 CGC Maintenance Mode Pro is a plugin for WordPress that is designed to make it extremely easy to safely perform upgrades and maintenance on your site. While in maintenance mode, unauthorized users are sent to either a WordPress page, external URL , or custom template. Authorized users, specified by IP, are permitted to see the site as normal. Maintenance Mode can be turned on or off at any time, and can even be set to turn itself on and off at a specified date and time. Rest easy next time you need to perform upgrades by using this plugin to send your unauthorized users to a maintenance page, letting them know what is going on. BuzzComi is fully responsive, simple, clean and mobile friendly coming soon / under construction / maintenance plugin with nice countdown timer, subscribe and contact forms. BuzzComi comes with power settings to help you fully customize your WordPress coming soon page. ThemeFuse Maintenance Mode is a coming soon plugin that enables you to inform your users when your new website is going to be live while you are working on building it. Creates a ‘Coming Soon’ page that will show for all users who are not logged in. Useful for developing a site on a live server, without the world being able to see it.